I know, I know, I'm a little late to the party when it comes to mustache-related crafts. This is my first one! I've had a bit of a love/hate thing with the whole mustache theme. When it started out I thought it was super cute and then it was EVERYWHERE and I got super tired of it. But somehow it's kind of grown on me again - especially with the idea of taking it in new directions, like making a mustache "girly". 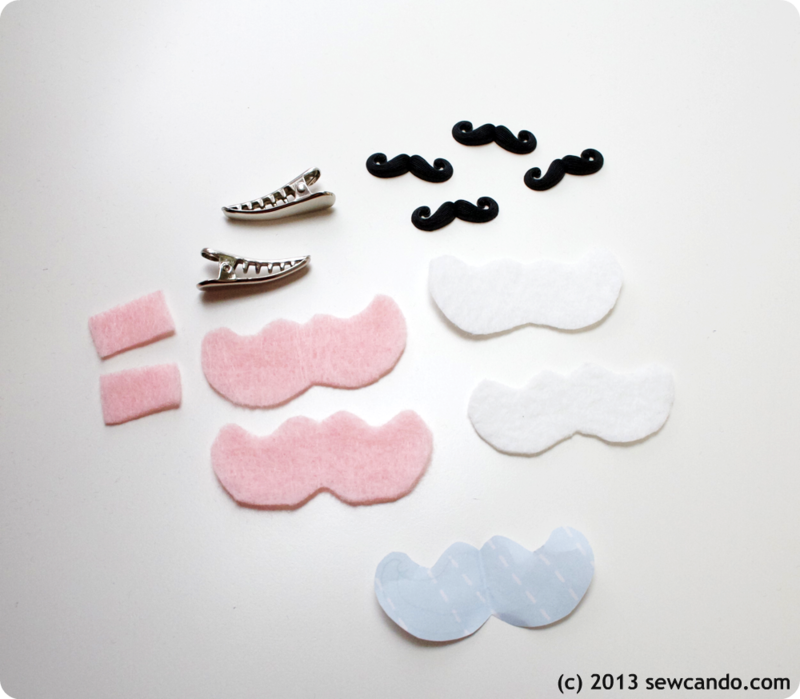 Draw an outline of a mustache on paper to the size desired & cut out. 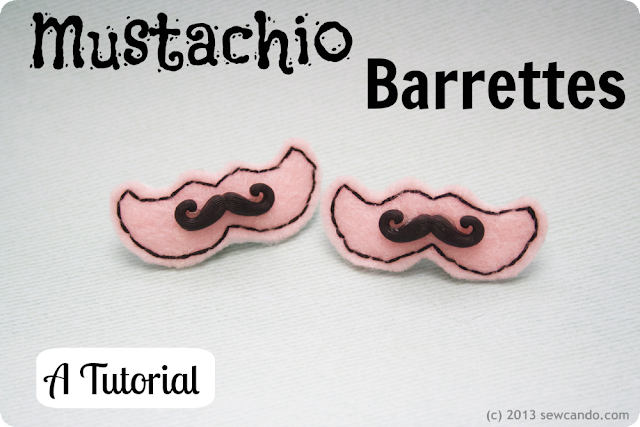 I wanted mine to echo the handlebar style of the resin pieces so I followed that shape, but bigger. Use the pattern to cut the felt and stabilizer. Also cut two felt rectangles that fit inside the barrettes and are slightly wider. 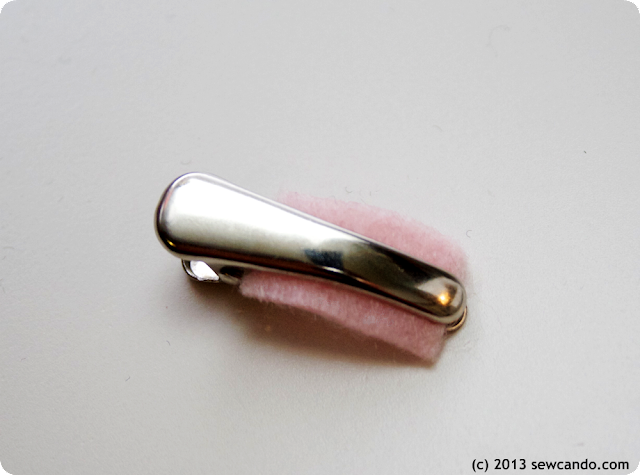 Place a small rectangle of felt inside the barrette, then spread hot glue over the barrette top and the felt. 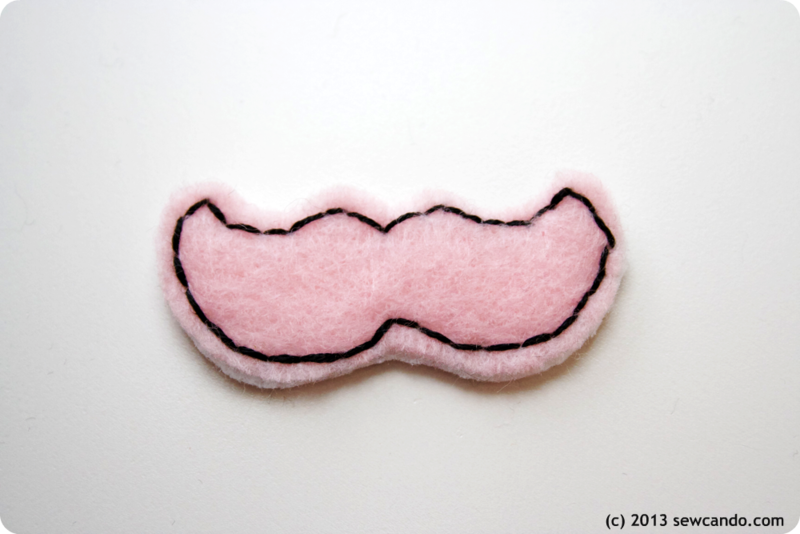 Firmly press the felt mustache on top. Those are CUTE! Adorable in fact. I've not seen the moustache used as an art subject so that's my first time to see that. I bet now I'll see it more! Thanks so much for joining my party! So cute Cheryl, would be great with a cowboy hat or a little western outfit! thanks so much for sharing on craft schooling sunday, great to see you! So cute! 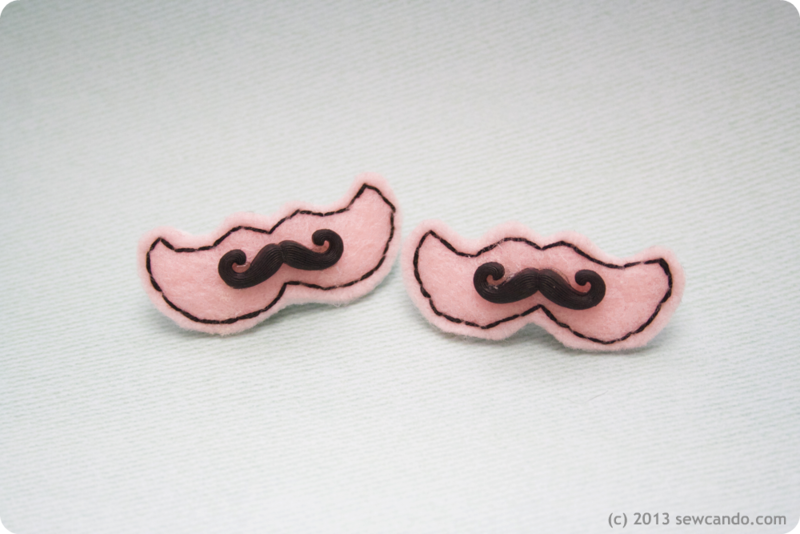 I am making these. So cute! My four year old would get a kick out of these! I'll be featuring this on my blog on Saturday. Those are adorable! 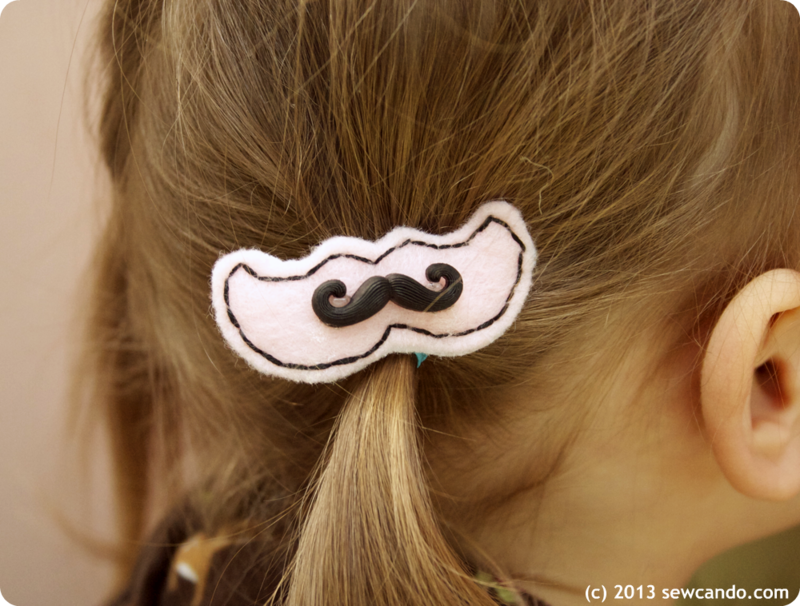 I might just have to make a trip to Hobby Lobby and surprise my daughter, the mustache-o-holic in our family. Thanks for the great tutorial! dis is cool. i dont no how to maek dis. is momi chupossed to do it? i so confoozed..... pleez help me? i need momi. wer do i get da mostash?